As most are aware, the biggest tax overhaul in more than 30 years (known as the Tax Cuts and Jobs Act of 2017, or the “Act”) has become law. Now the real work of unpacking the new rules can begin. In the wake of this sweeping tax legislation, I thought it might be interesting to take a look at a few components of the law. In particular, the increase in the estate, gift and generation skipping transfer (GST) tax exemptions, changes to the individual income tax rates and the elimination of certain itemized deductions. The major estate and gift tax change is a doubling of the integrated estate and gift tax exemption to an inflation adjusted $11.2 million for decedents dying and gifts made in 2018. A married couple has the benefit of two exemptions, or a total of $22.4 million in 2018. The generation-skipping tax exemption is also doubled to $11.2 million for an individual and $22.4 million for a married couple. These exemptions will be adjusted annually for inflation. Property transferred in excess of the increased exemption will continue to be taxed at a rate of 40%. These changes sunset after the end of 2025 unless there is further legislation to extend them. The annual exclusion from gift tax for direct gifts and gifts to a trust which are subject to a Crummey power will increase to $15,000 in 2018 (a married couple may make gifts of $30,000 per recipient). This change is due to inflation and not the new legislation. No change is made to the ability to make unlimited gifts of medical and education expenses, if paid directly to the provider, and other provisions under current law, such as carryover basis and portability remain unchanged. Individual income tax brackets for 2018 are set at 10, 12, 22, 24, 32, 35 and 37 percent. The previous top rate was 39.6 percent percent. The top rate of 37 percent begins at $500,000 for single taxpayers and $600,000 for married filing jointly. This rate structure will be in place until December 31, 2025. The standard deduction is increased to $12,000 for individuals and $24,000 for married couples, indexed for inflation, but again, only until December 31, 2025. The deduction for personal exemptions is repealed for tax years beginning after December 31, 2017. The Act imposes limits on certain itemized deductions. In particular, it imposes a limit on itemized deduction for sales, state and local income, and property tax up to a combined total of $10,000 ($5,000 for individuals) for tax years beginning after December 31, 2017, and ending before January 1, 2026. The individual deduction for home mortgage interest is also limited. For acquisition indebtedness incurred after December 15, 2017, the current deductibility limit of interest on $1 million of acquisition indebtedness is reduced to interest on $750,000 of acquisition indebtedness. Charitable contributions remain allowed as itemized deductions. The percentage-of-income limitation for cash gifts to public charities is temporarily increased from 50 percent to 60 percent. Notably, the Act repeals the current 80 percent deduction for contributions made for university athletic ticket rights. With respect to the AMT, the Act temporarily increases the exemption amount to $109,400 for married filing jointly and $70,300 for single filers. The Act also increases the phaseout of the AMT exemption amounts to $1,000,000 for married taxpayers filing jointly and $500,000 for single taxpayers. These changes are scheduled to sunset on December 31, 2025. Flexibility and prioritizing financial goals will be important to ensure effective planning under the Act. Why? 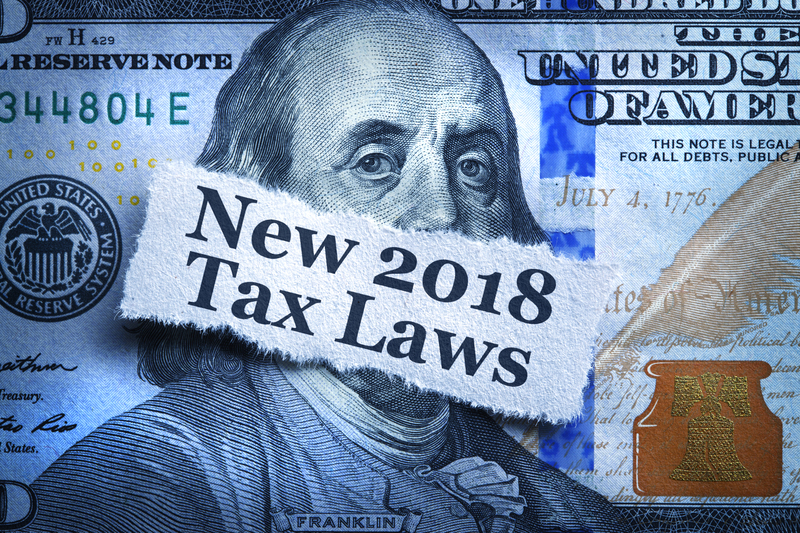 Because although the Act provides many changes that impact individuals and businesses, those changes will generally sunset at the end of 2025; and furthermore, while tax laws may change over time, one’s goals and desires tend to endure. If you have questions, please be sure to contact your tax, legal and financial advisors to discuss how the changes to the tax laws as a result of the Act might impact you.